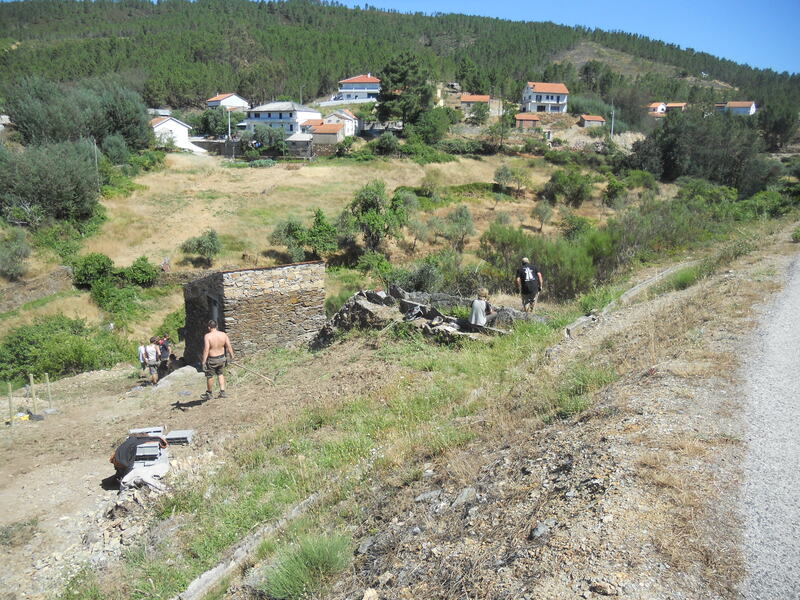 You could be excused for thinking, having read my last post, that the recent Scout camp at Casalinho was one big round of sunbathing and swimming. 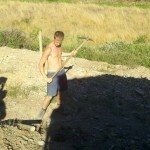 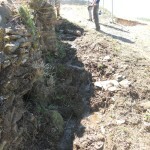 Well a lot of that did go on, but a lot of hard work too! 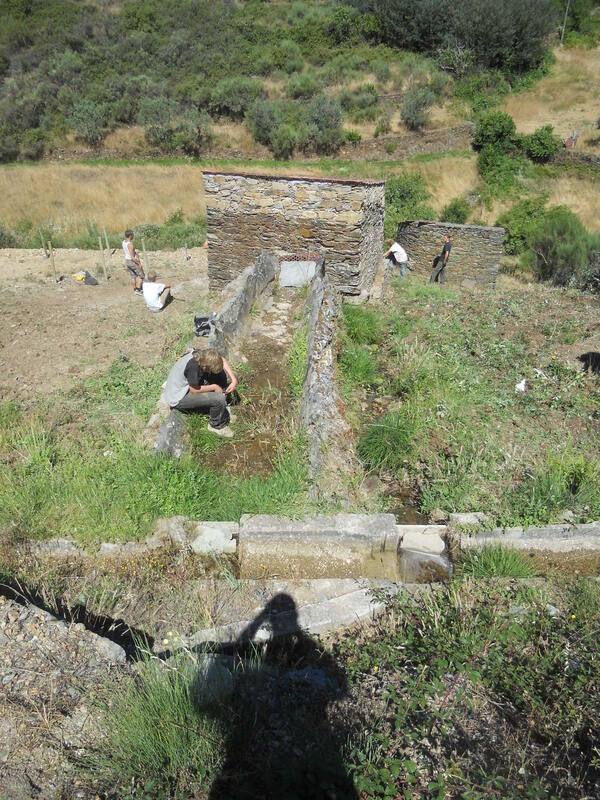 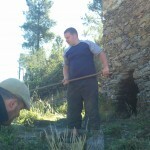 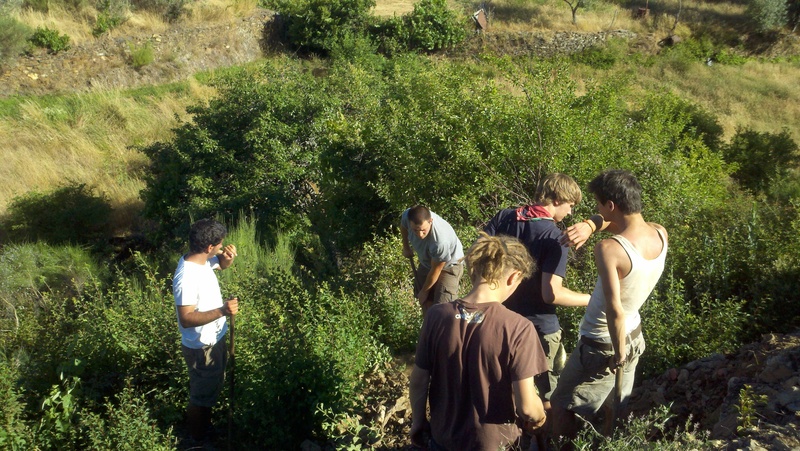 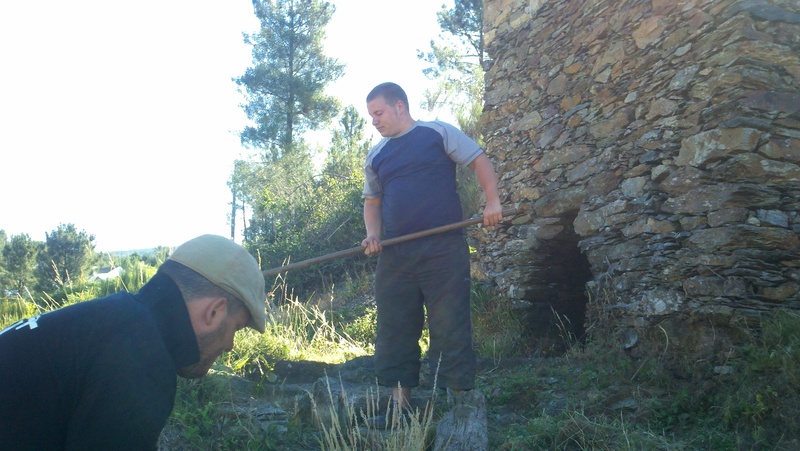 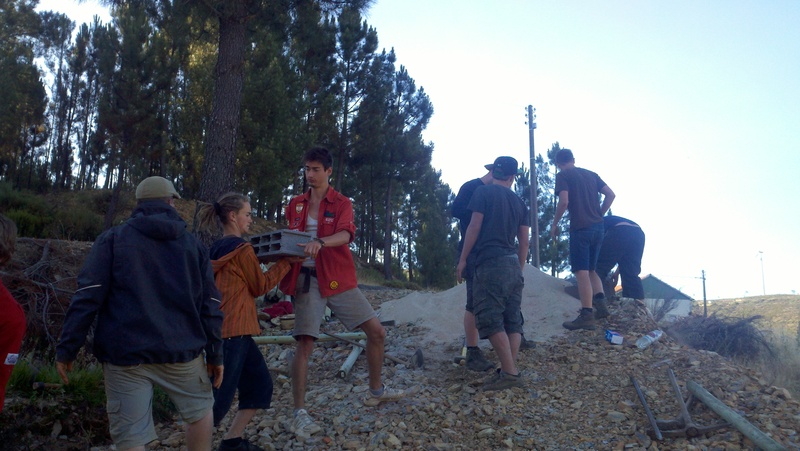 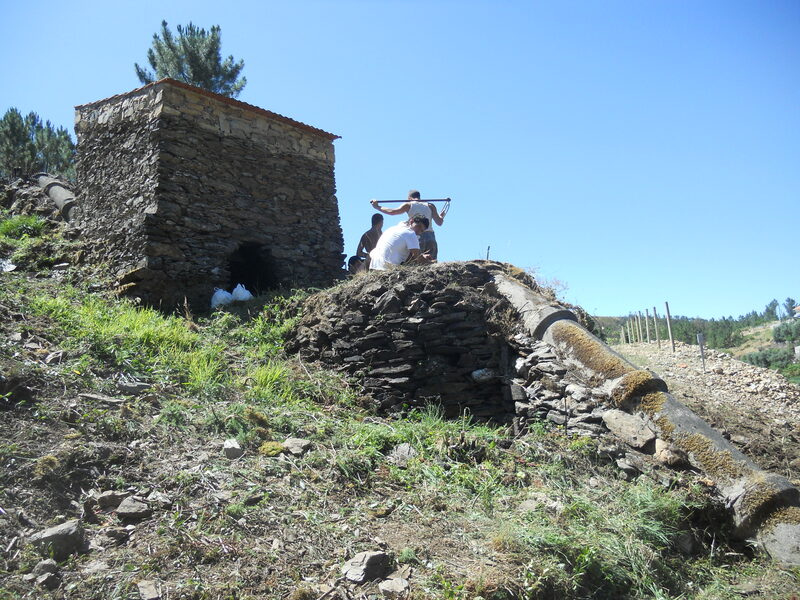 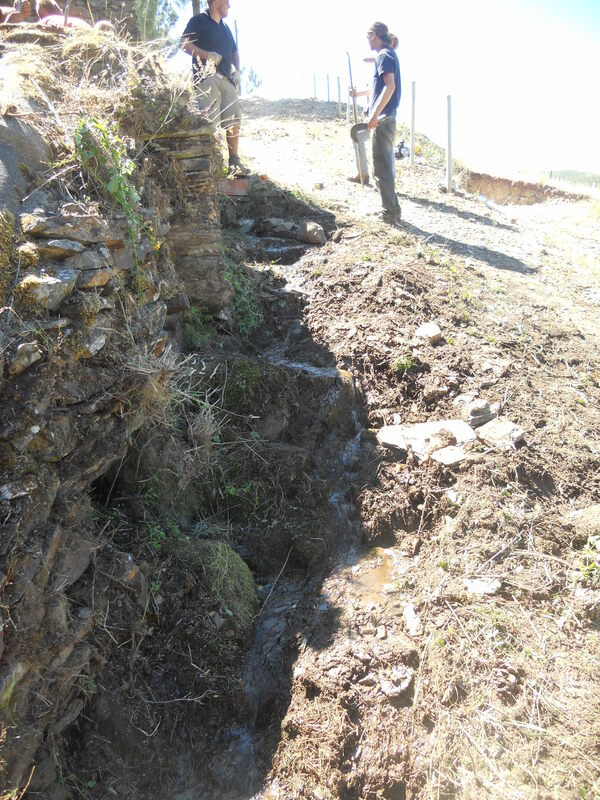 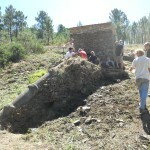 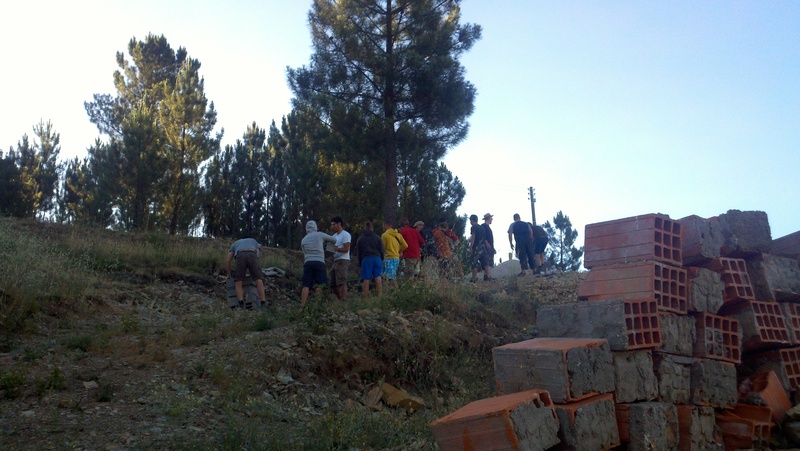 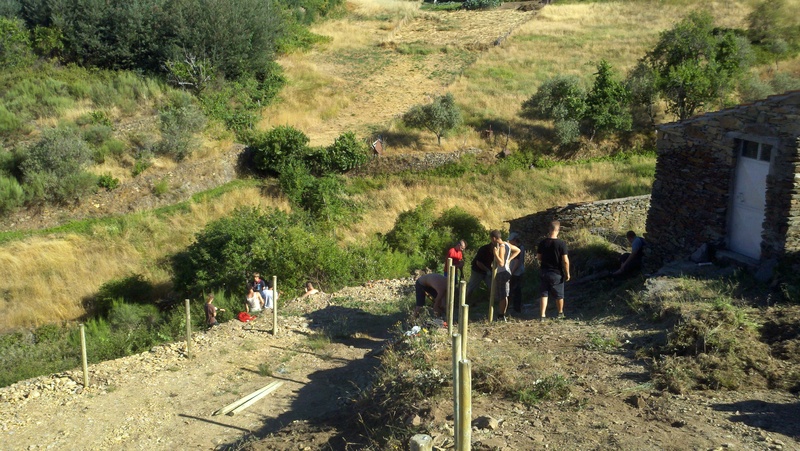 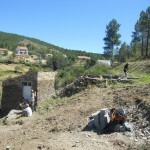 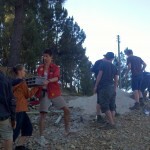 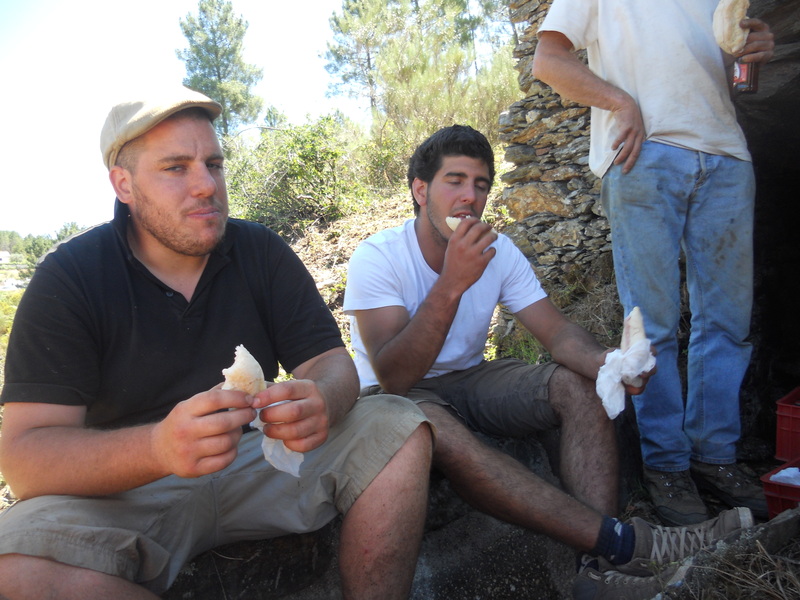 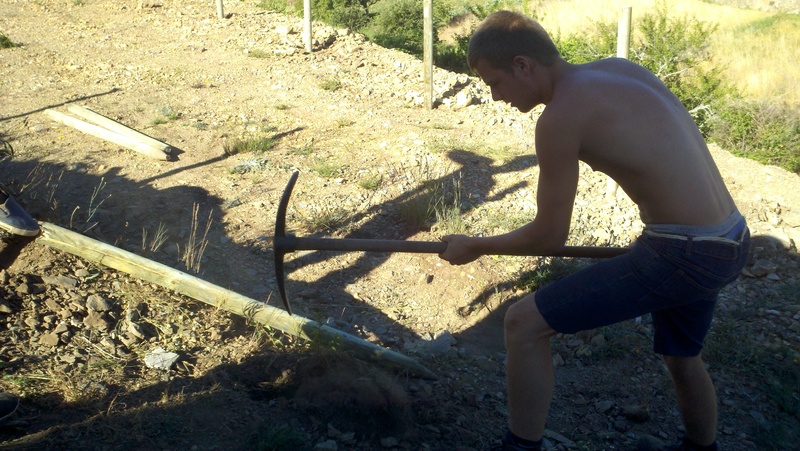 The Scouts de Stembert, all the way from Belgium, were kind enough to donate their time and muscles to a local community project, assisting with the restoration of the mills in our local village, Aradas. 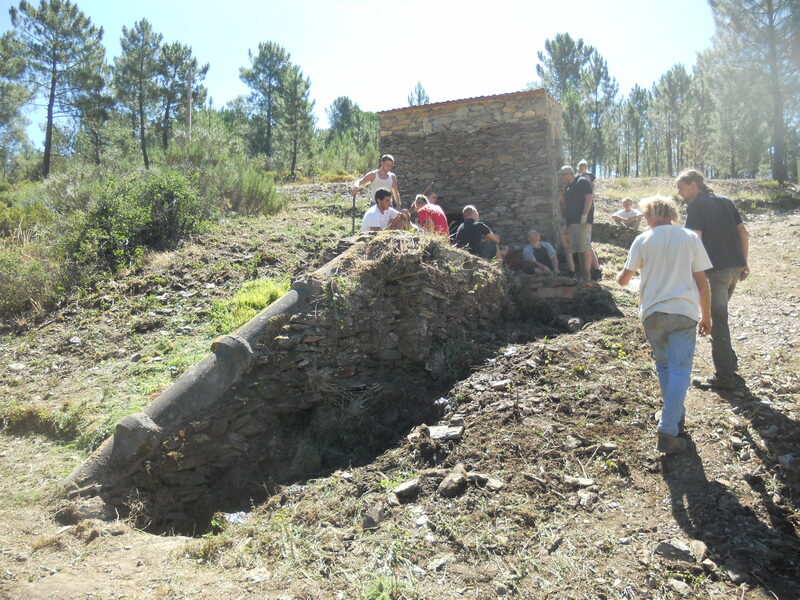 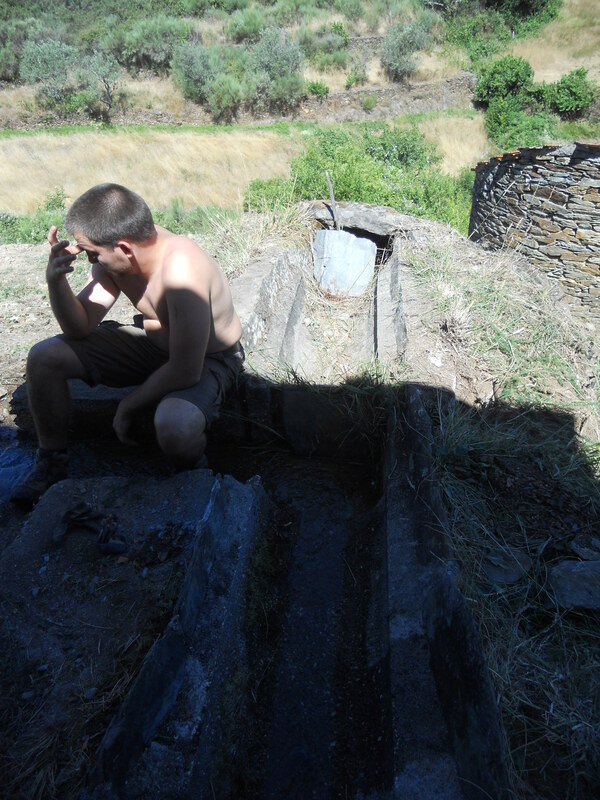 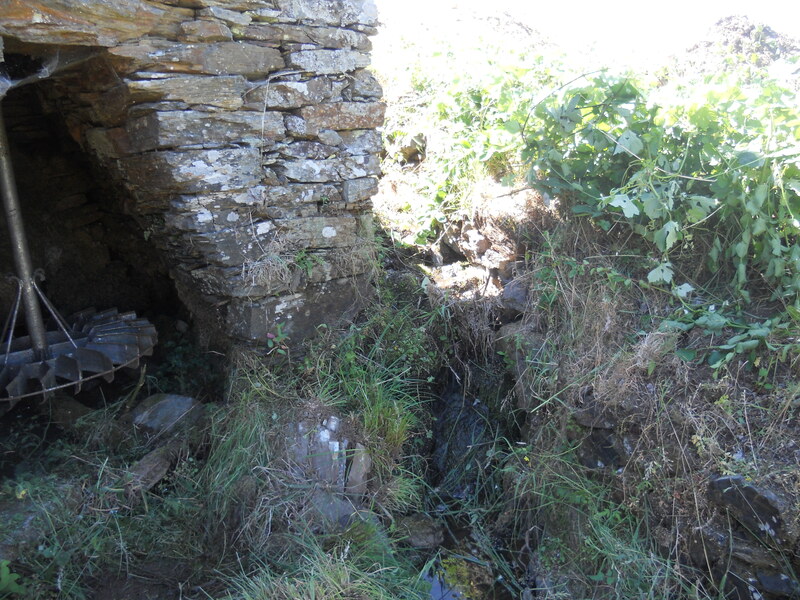 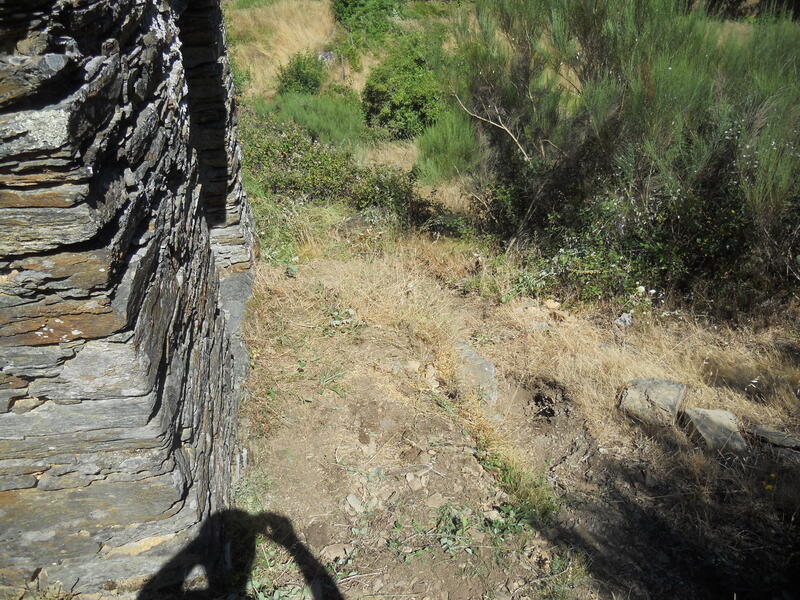 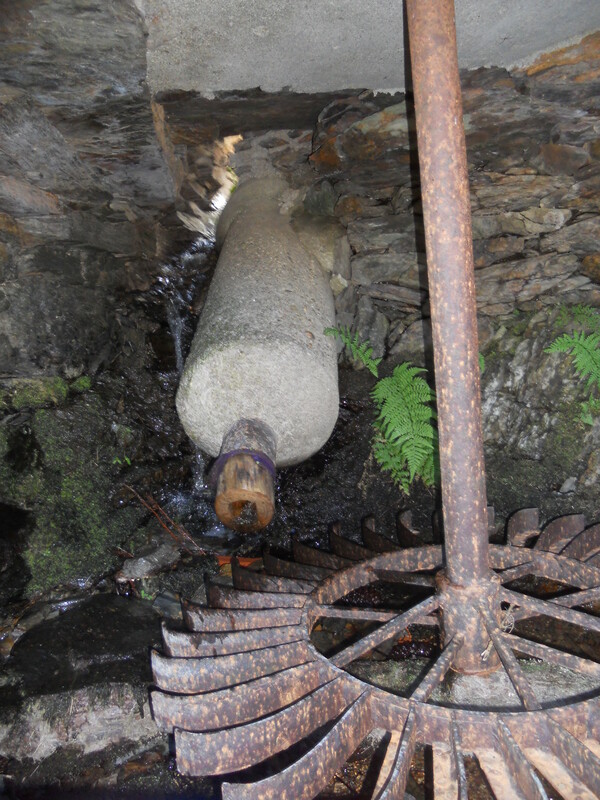 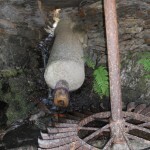 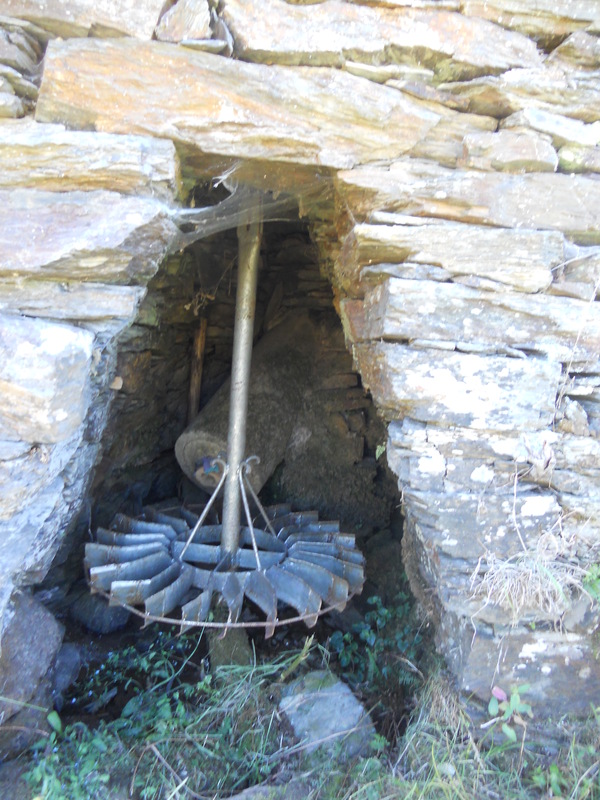 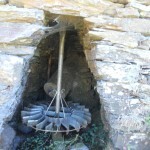 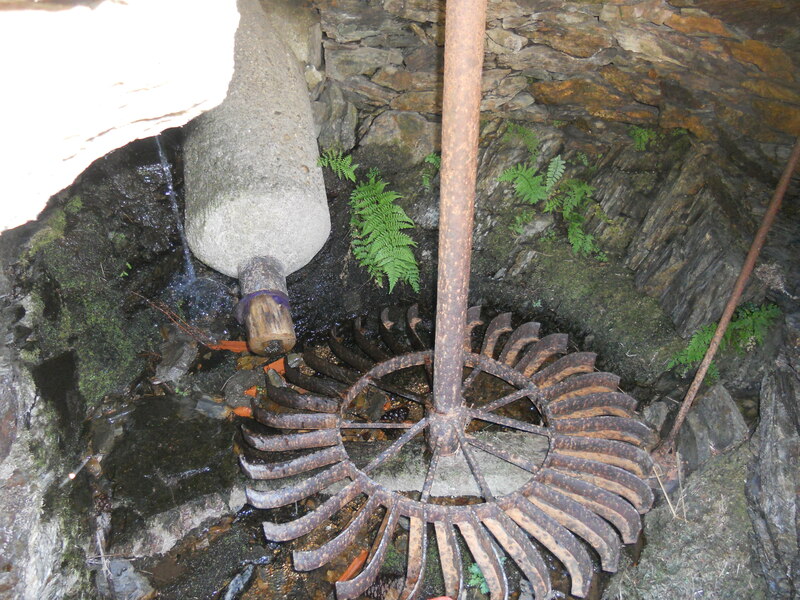 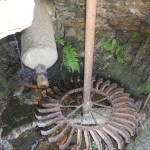 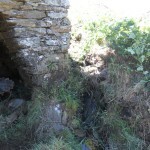 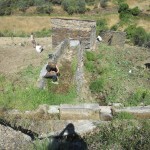 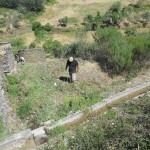 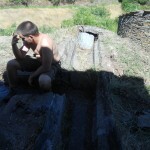 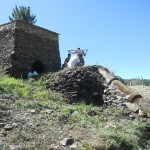 The mills have been derelict for some years, and the Comissão de Melhoramentos de Aradas has recently begun an effort to restore them for the benefit of the local community. 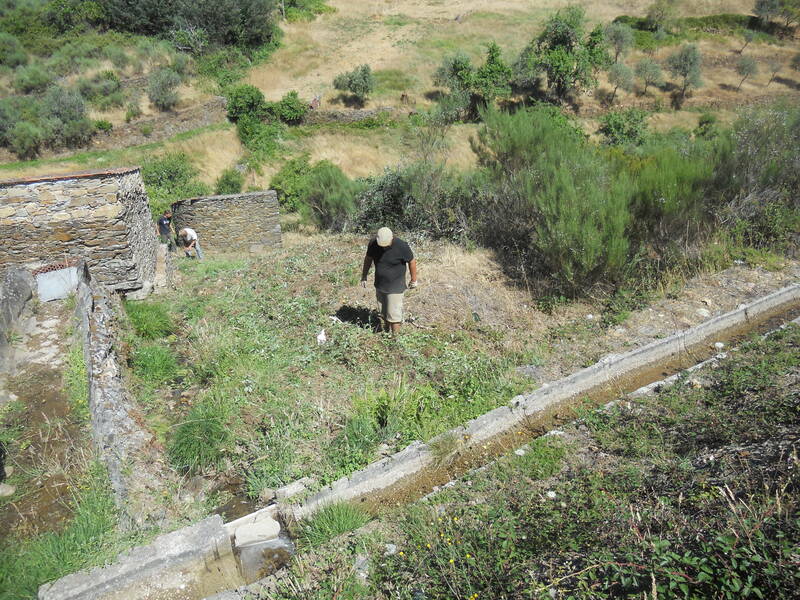 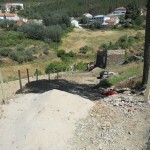 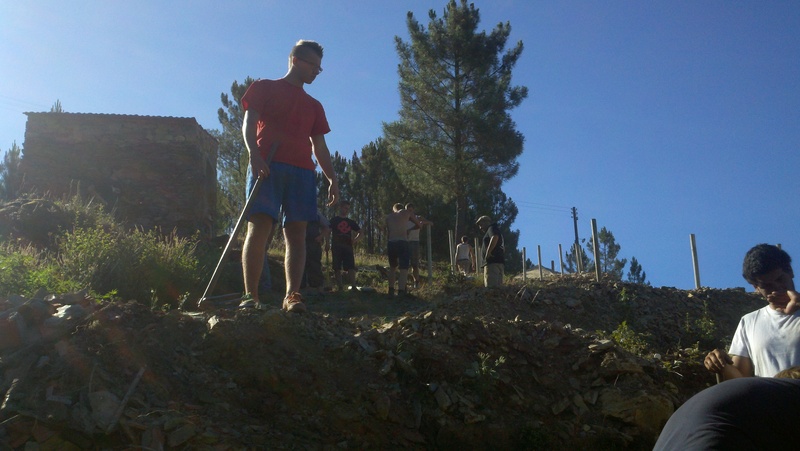 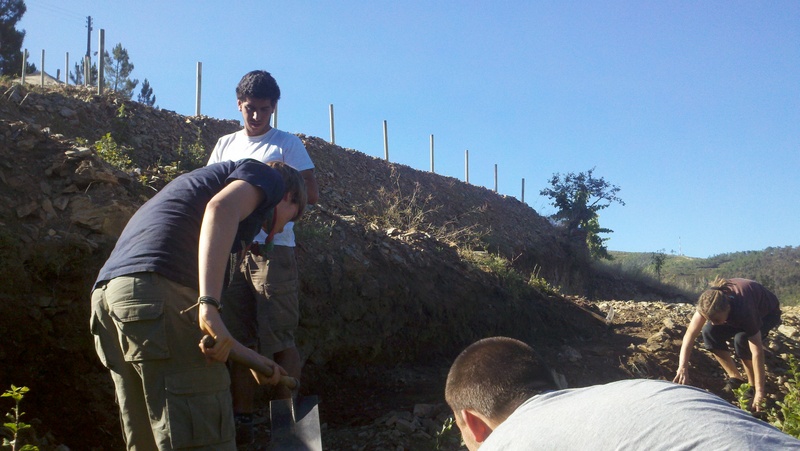 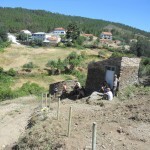 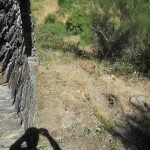 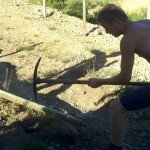 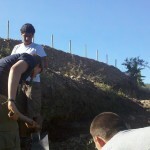 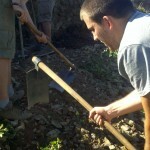 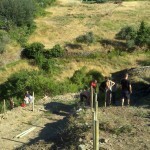 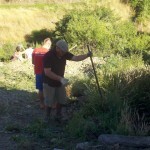 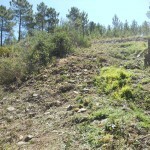 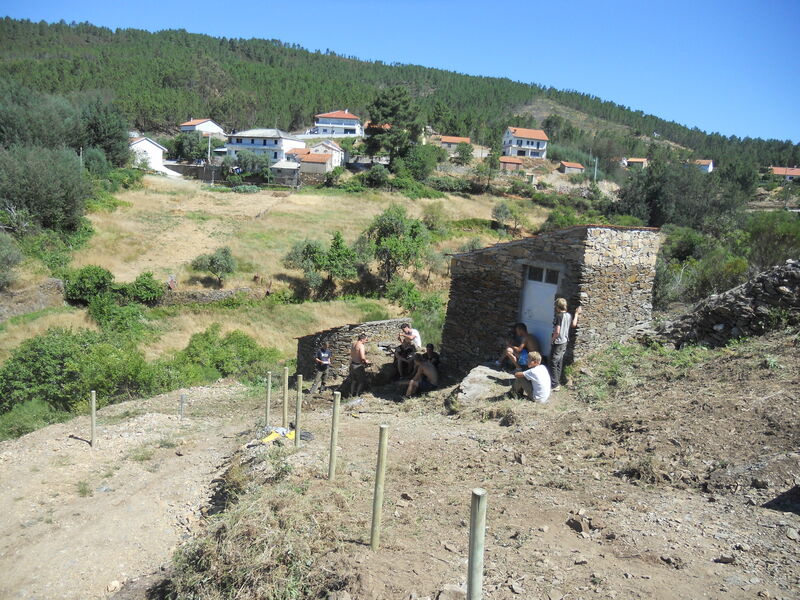 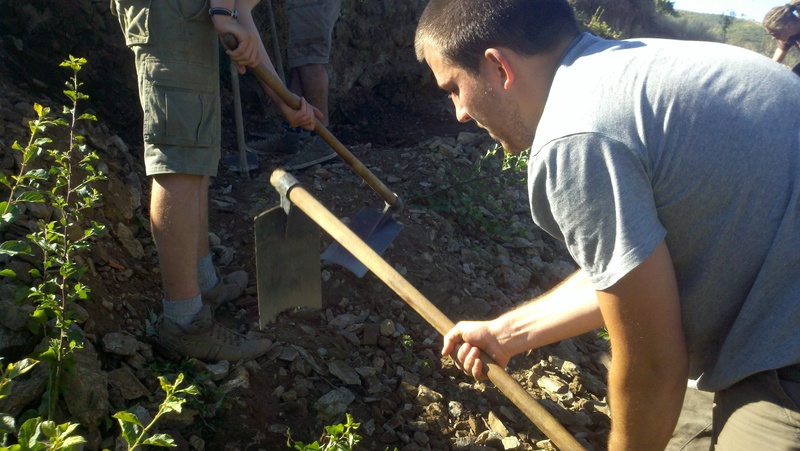 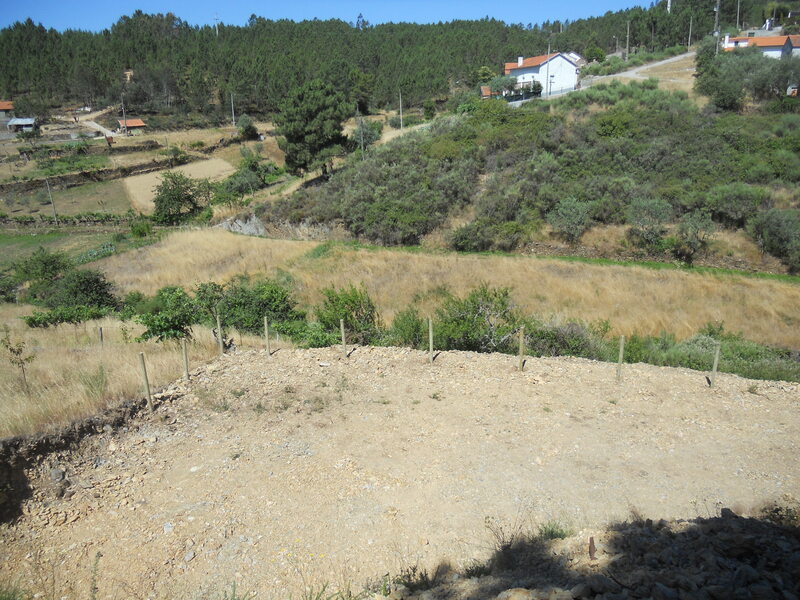 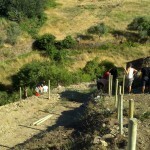 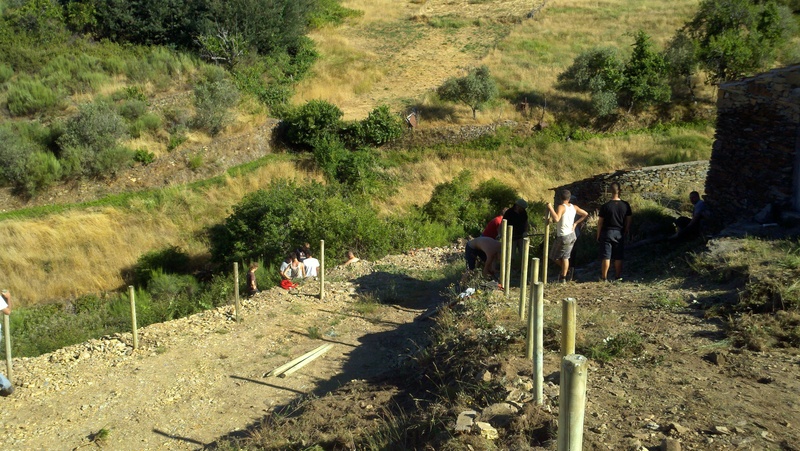 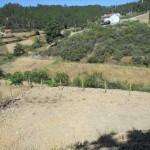 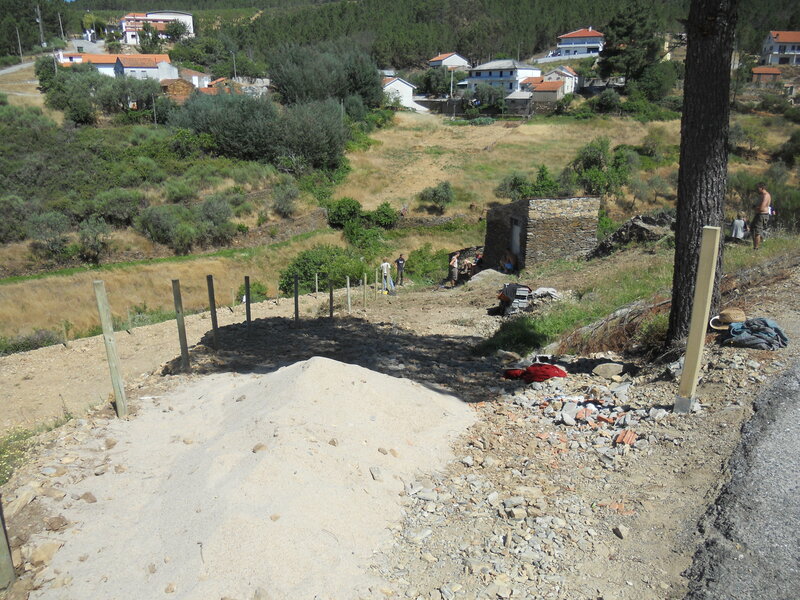 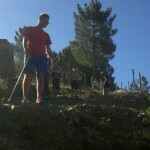 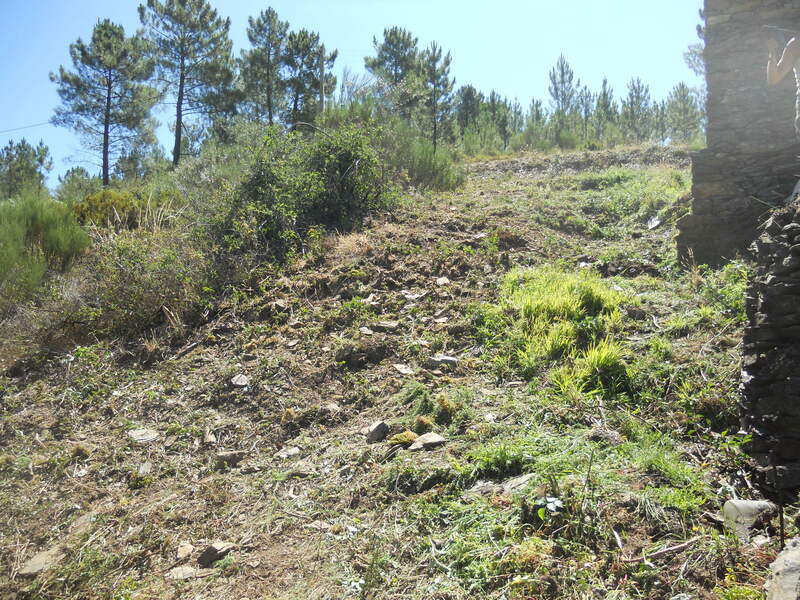 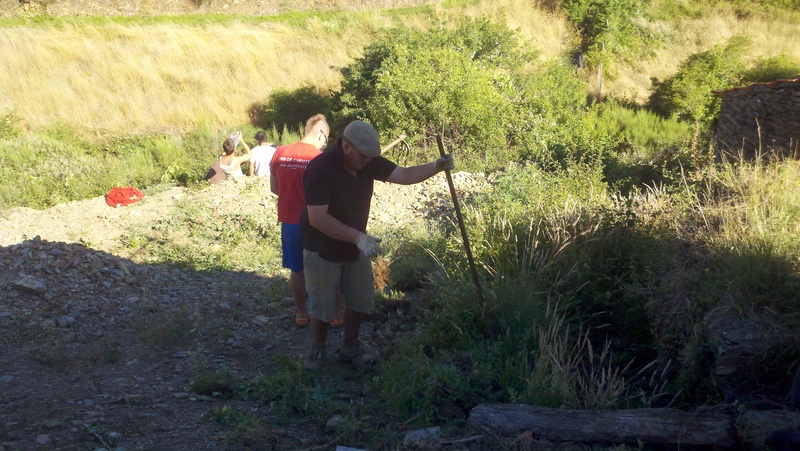 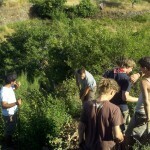 Together with other volunteers from Casalinho, the group cleared brush, installed fence posts and created a path. 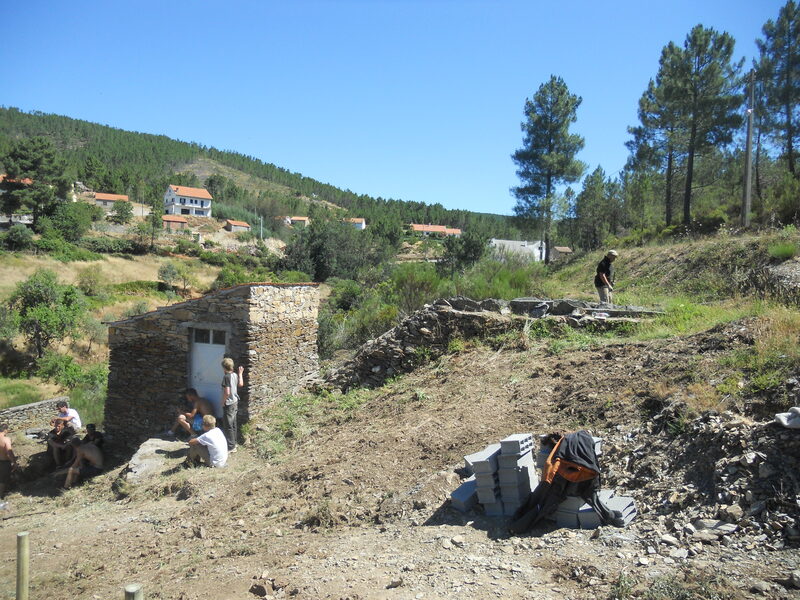 A couple of beers and sandwiches provided by the Comissão went down well mid-morning, but I must admit that it was a little disappointing that our efforts went unremarked by the local community on the day. 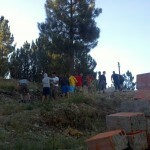 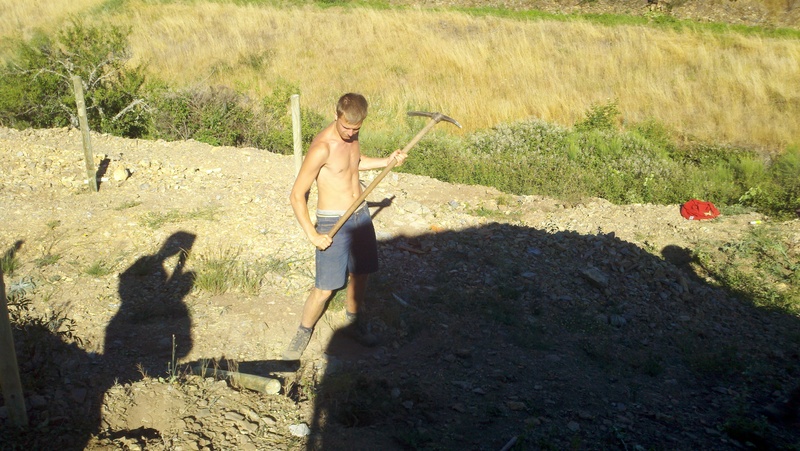 Photo credits to the Scouts, and to Keaton Karvas.